The Bupa Ridley Park Care Home in Blyth is supporting this year’s Silver Sunday by holding a free tea dance for older members of the local community, along with their family and friends, on Sunday from 2pm. Silver Sunday is a national day of free fun and activities for elderly people across the UK. The initiative also aims to tackle the loneliness and isolation felt by many older people by providing social activities to encourage them to go somewhere new and try new things. The event in Blyth will include traditional afternoon tea – with home-made sandwiches, scones and cakes. Guests can also enjoy music from the Golden Years, playing the very best in 50s, 60s and 70s classics. 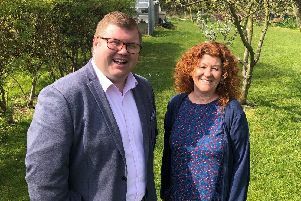 Michelle Green, general manager at Ridley Park Care Home, said: “It’s great that we are in a position to support Silver Sunday by holding events at our care homes to offer older people somewhere they can enjoy a fun activity in the company of others. To find out more about the day or to book your place, call 0808 2318248.